Home / Adventure / kannada and Karnataka / Travel and Living / 10 Adventure activities to try around Bangalore! Bangalore or Bengaluru as it was now know, is India’s IT Capital attracting large number of business and leisure travelers alike. The city is famous for having a bustling nightlife, with a great crowd. However, that is not the only reason travelers are seeking this beautiful city. There are several adventure activities you can try in and around Bangalore, which are fast gaining popularity. Of course some will claim living in Bangalore itself is an adventure, given the current urban challenges the city is facing- such as traffic and garbage). If your idea of weekend adventure was to visit Nandi hills, do read this post to find out the true adventure activities you can try around Bangalore. 1 Microlight Aircraft Flying at Jakkur airfield: Jakkur, just outside Hebbal, much before Bangalore airport, has a small airstrip on which microlight flying sessions are conducted. For about INR 3000-5000 you can fly a small plane for a few minutes. Totally worth every minute and penny. 2. Sky-diving at Mysore: Sky diving is one of the most adrenaline pumping activities and you can try it at Mysore airport, just 200 kms from Bengaluru. This will set you back by INR 30000 approx for a 30-40 second free fall from 10000 ft, but it’s totally worth it. Everyone should try this once in a lifetime. 3. Cave Exploration at Antaragange, Kolar: Kolar is a town 60 kms from Bangalore and was once popular for its gold mines. If you are looking to be a modern day Indiana Jones, looking for some lost treasure, then there are a lot of ancient caves which you can explore. It is advisable to take an expert guide instead of venturing out on your own though. 4 Off-Road ATV Ride: There are many centres within city limits that offer an off-road driving experience on ATVs. Enjoy navigating through custom made tracks filled with mud, slush, water, rock and more. 5 Wild Life Safaris: There are at least half a dozen wildlife sanctuaries that you can explore within 200 kms from Bangalore. Bannerghatta is the closest while Bandipur, Madhumalai, Kabini, Nagarahole, K Gudi and Badhravati are within few hours driving distance. Should you wish to stay overnight, there are jungle lodges and beautiful resorts in most of them. 6. Dirt Bike sessions with Santosh CS at Kolar: For the biking enthusiast in you, a half day session at Dakar champion CS Santhosh’s Big Rock farm near Kolar is a must-try experience. Kolar is about 60 kms from Bangalore. 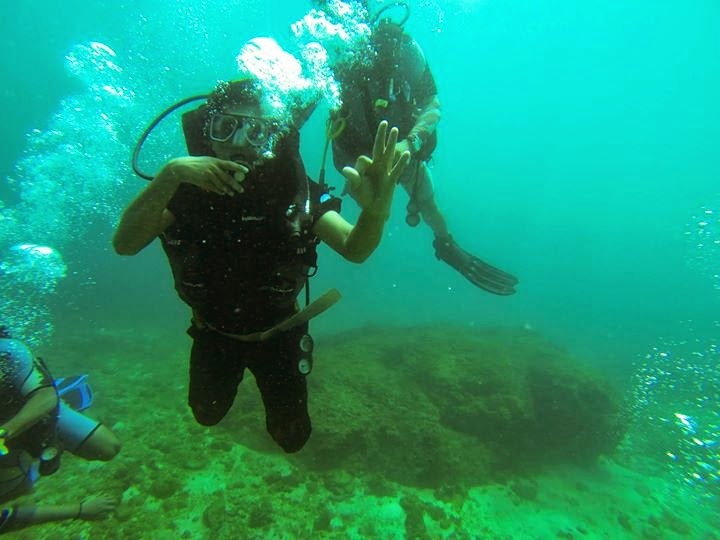 7 Scuba Diving off Murudeshwar: About 500 kms from Bangalore is the coast of Murudeshwar. Besides the popular Lord Eshwara temple, Murudeshwara is probably the only spot in Karnataka where you can try Scuba diving. Prior planning is required and larger the group, lower the discounts. 8 River Rafting: White water rafting is another fun filled activity. You can try it in Dubare, Coorg or Badhra River, Chikmagalur (both about 300 kms from Bangalore) or at Kali River, Dandeli (600 kms from Bangalore). 9. Camp in a motorhome: Ever tried staying in a caravan or motorhome? Caravan trips are very popular abroad. You can try it now for a unique experience with family. 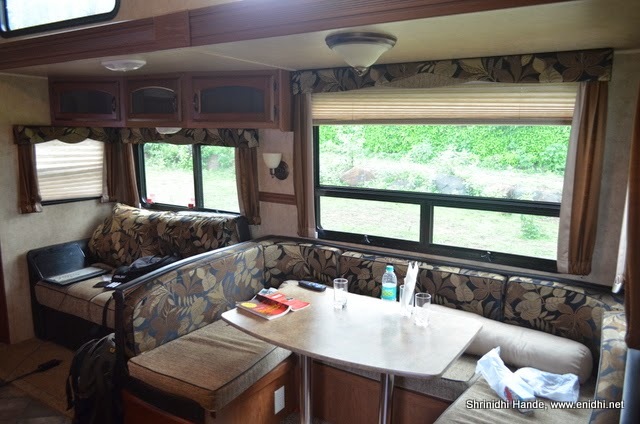 Stay in a caravan parked by the lake- eat, sleep and stay inside the fully equipped vehicle for a unique experience. 10. Trekking in the Western Ghats: For nature lovers, heading to the hills is a perfect weekend getaway. You can easily draft a weekend trek to various hills around Bangalore- most popular ones being in the Western Ghats. Consider Bisile, Sakaleshpura, Agumbe and more such spots- Go in larger groups and be vary of permissions that may be required to enter some of the reserve forests. Of course while you plan your Bangalore visit, should you need help with finding the right hotels or looking for flight fares, there is always MakeMyTrip. If you can’t afford longer trips or do not have a weekend to spare, you can check my postlisting early morning/late evening attractions around Bangalore. 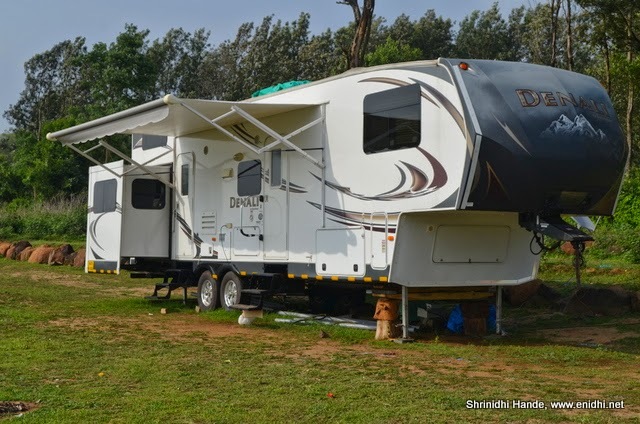 Who offers caravan trip out of Bangalore? Walk a lap of the 60km ring road. I tried it twice and both times completed 50km, 10 short of finish line. Locate the 4 towers of Kempegowda. They are at BBMP Park, Mekhri Circle, Ulsur Lake, Lal Bagh and at a lake near Chamrajpet. I have walked to all 4 towers back in 2012. Awesome list...Bangloreans have so many options nearer home to explore and enjoy. You can also visit a blackbuck sanctuary. It's near Tumkur. You can drive your car through it. And comeback same way. No gates or any fees. And best part no tourists. So let's keep it that way and not tell anyone else. I think they are blackbucks. Or some deer family species anyway. I must say the adventure activities list is a great one. Bangalore in Karnataka is one of the most popular travel destinations in India frequently visited by a large number of tourists. Thanks for sharing & your writing style is awesome, keep it up!